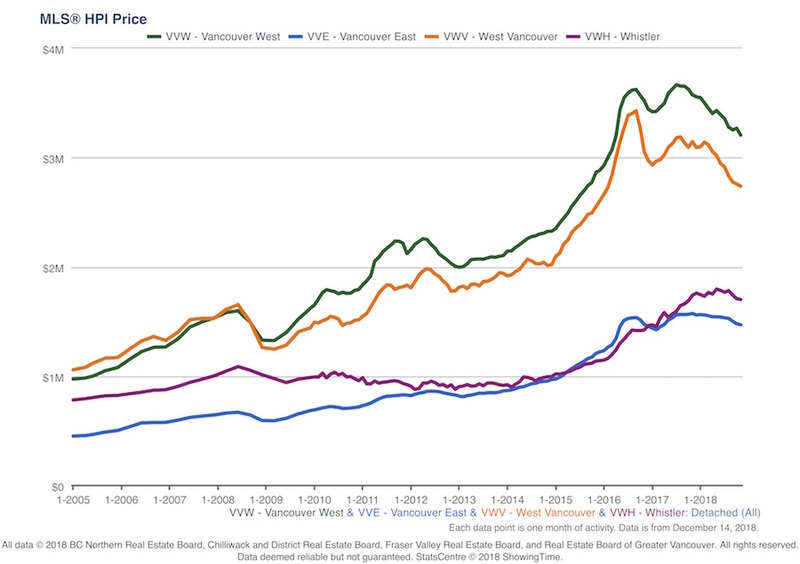 Months of Inventory (MOI*) dropped to 12.3 for detached Westside Vancouver homes in November. It rose to 8.28 and 6.57 months for Attached homes and apartmens respectively. 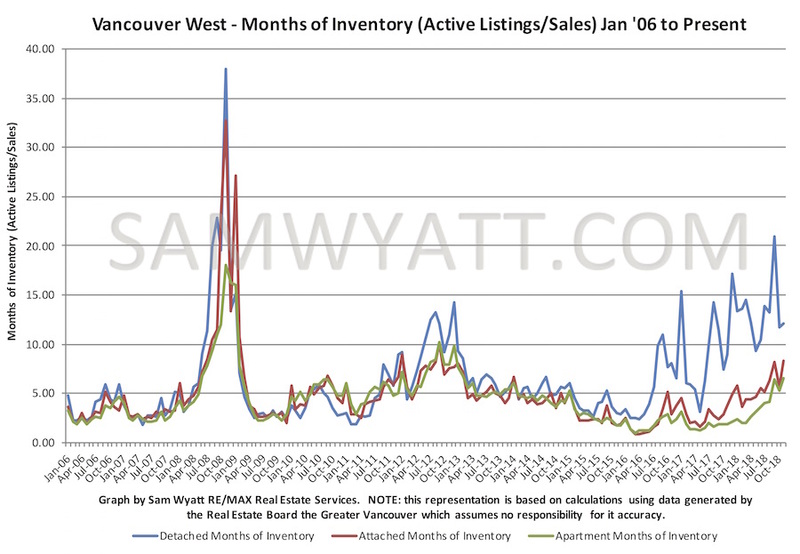 Months of inventory has been in double digits for houses for 11 of the last 12 months. I expect this high MOI to remain and for attached and apartment MOI to rise. 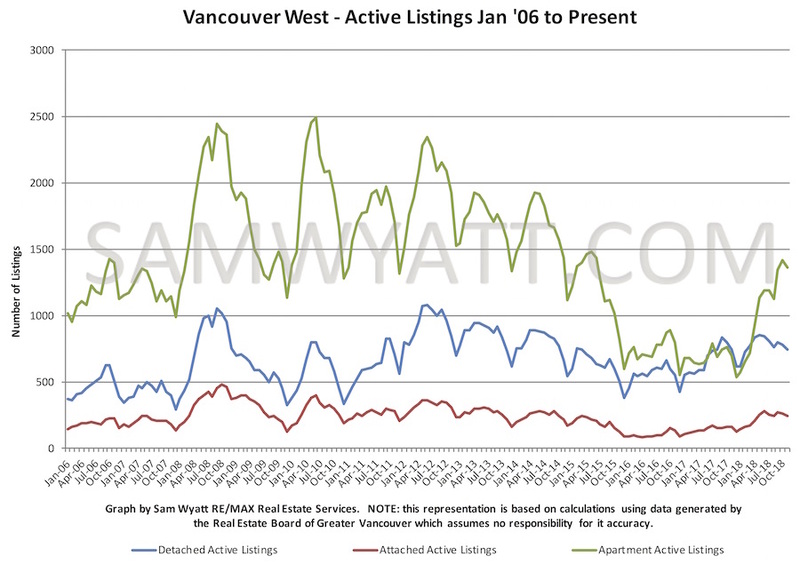 Active listing volumes are presently within typical ranges for all product types. Apartments had very low active listing volumes for most of 2016 and 2017 (as low as 535) but as of November sat at (1359). 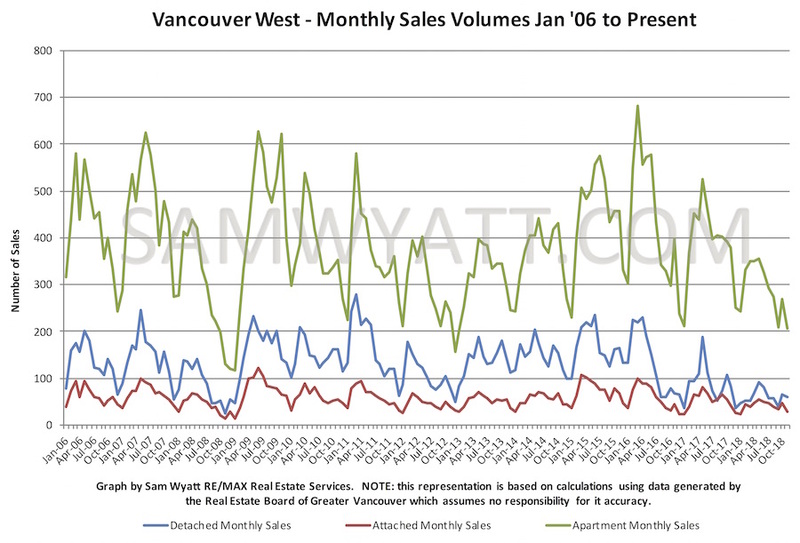 Lower sales volumes appear to be the reason for the hi MOI and decending prices. 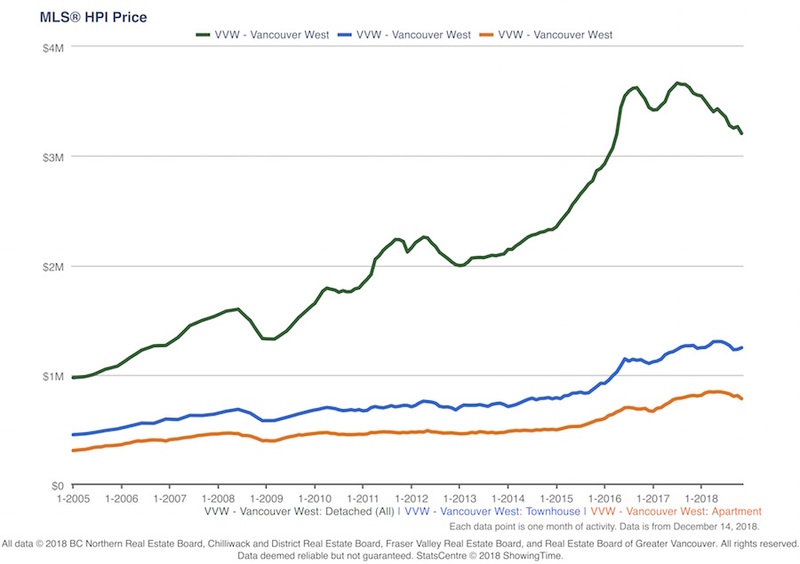 In september only 38 houses sold on the Westside. 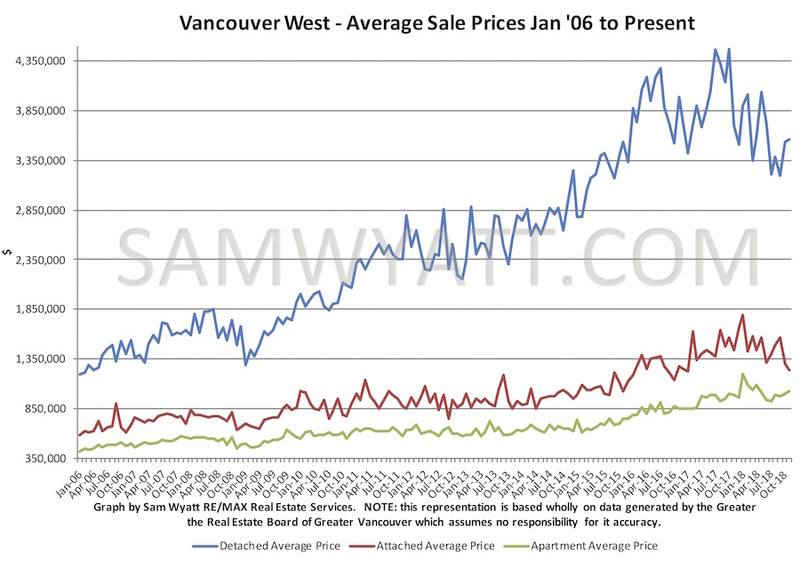 November saw a much healthier figure of 61 detached sales.